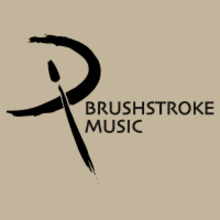 Brushstroke Music is a store in the heart of beautiful San Dimas that offers musician essentials, instruments, and lessons from amazing teachers. We sell high quality instruments, audio equipment, amps, cases, accessories, books, speakers, educational media, and much more! Please note that orders placed on a weekend will be processed the following Monday or business day. Thanks! I will ship with tracking anywhere in the United States of America. To negotiate shipping rates to other locations, please send me a message. Orders placed on a weekend will be shipped the following Monday or business day.